Discussion in 'xLights (Nutcracker)' started by smeighan, Dec 2, 2012. Probably as expected, the daily disk usage has almost doubled since 9 days ago. I am running purge now. This will get rid of any sequencer files, nutcracker (*.nc files) and the full size animated gifs. Database entires take no space. I dont care if you have 500 targets and 5000 effects. It is when you create the actual animated gif that we create lots of disk space. 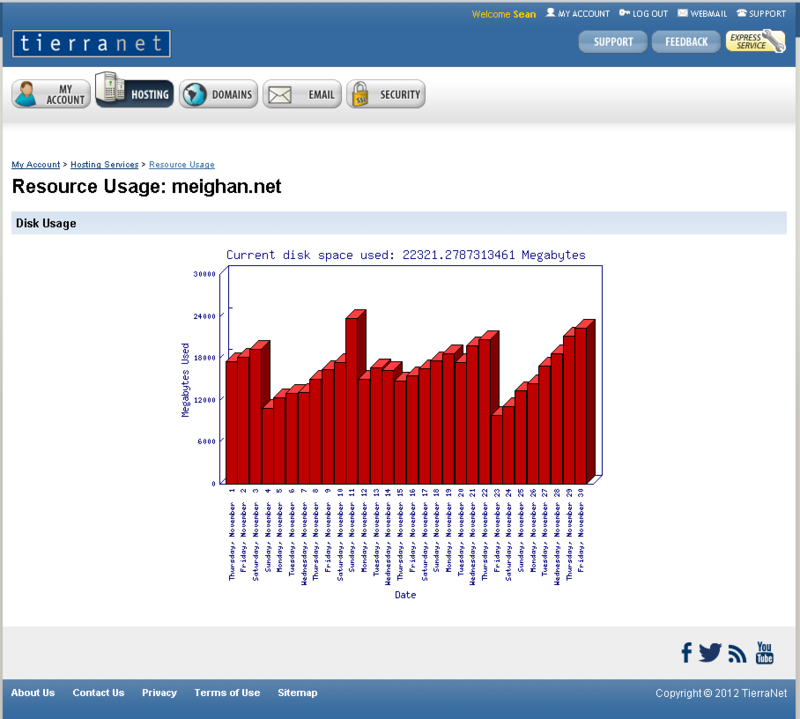 vir,vix,lms,lcb,hlsnc,userpatterns.xml all take large disk space on meighan.net. here is the current disk usage. My meighan.net account has a 25gbyte limit. Please, please do local install of nutcracker and then you can use all the disk space you want.